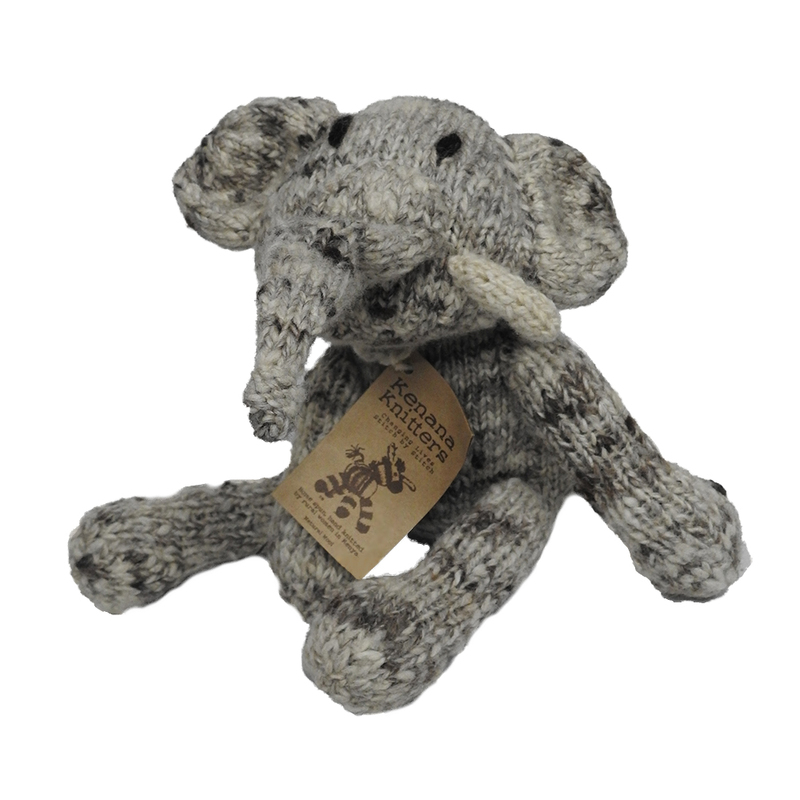 These lovable elephants were hand-knit in Kenya by the women at Kenana Knitters, which was founded on the premise of "changing lives, stitch by stitch." Your purchase empowers women in Njoro, Kenya and supports their community. Hand knit Hand spun wool AZO free dye SIZE: about 8"H X 5"W sitting , about 12"H X 5"W standing. Protecting over 1.6 million acres of wilderness in the Amboseli-Tsavo-Kilimanjaro ecosystem of East Africa, Big Life partners with local communities to protect nature for the benefit of all.